Illinois' Catholic bishops are supporting an existing, temporary driver's license for undocumented immigrants. 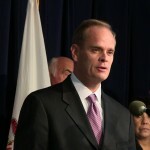 Catholic Conference of Illinois Executive Director Robert Gilligan today spoke in favor of the temporary licenses at a Chicago press conference sponsored by advocates seeking to pass legislation during the upcoming veto session that would extend Temporary Visitor Driver's Licenses (TVDL) to the state's estimated 250,000 unlicensed undocumented immigrants. The proposal does not yet exist in legislative bill form, but proponents claim the backing of Senate President John Cullerton, D-Chicago, and state Rep. Edward Acevedo, D-Chicago. The state since 2005 has been issuing TVDLs to individuals who have lawful immigration status but no Social Security Number. A TVDL may be used only for driving and not for identification. Individuals seeking a TVDL have to pay a fee, as well as pass vision, written and road tests — the same requirements of a traditional driver's license that proponents believe would lead to safer highways. "When our undocumented immigrant brothers and sisters are denied the ability to drive legally, their access to healthcare, to an education, to practicing their faith, and to work is greatly hindered. 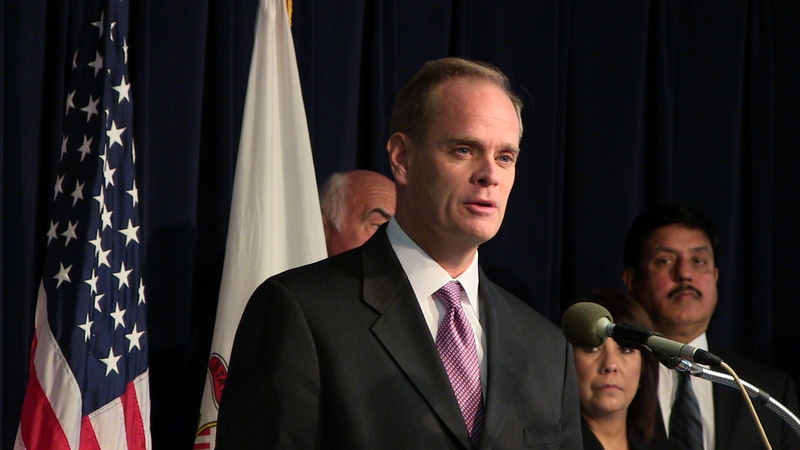 Thus, their quality of life is simply compromised," Gilligan said at the press conference at the State of Illinois building. Watch a video of Gilligan's comments. Undocumented immigrants seeking a TVDL could use as identification an Individual Taxpayer Identification Number (ITIN) issued by the Internal Revenue Service, a passport or consular identification card, and proof of Illinois residency, such as a home utility bill. A TVDL is good for only three years, when it must be renewed. A TVDL is easily distinguishable from a traditional driver's license since it uses a purple color scheme, instead of a red color scheme. Because TVDL's are already in use, they would not "flag" drivers as undocumented if they were stopped by police for a traffic violation. Many undocumented immigrants are deported to their home country, separated from their children, when they are stopped for a minor traffic violation and are unable to produce a license. "What hurts one family hurts our entire community, for the family is the building block of society," Gilligan said. "Yet too many of our immigrant families have been torn apart by the simple act of driving." New Mexico and Washington state currently issue driver's licenses to the undocumented, while Utah uses a driver's certificate. The press conference came on the same day as a statement issued from the U.S. Conference of Catholic Bishops (USCCB) urging President Barack Obama to enact comprehensive immigration reform. Archbishop José H. Gomez of Los Angeles, chairman of USCCB's Committee on Migration, recognized the new focus on immigration prompted by last week's presidential election. "I am heartened by the recent public statements of the leaders of both political parties supporting the consideration of comprehensive immigration reform in the new Congress," Gomez wrote. "I urge the President and Congress to seize the moment and begin the challenging process of fashioning a bipartisan agreement."